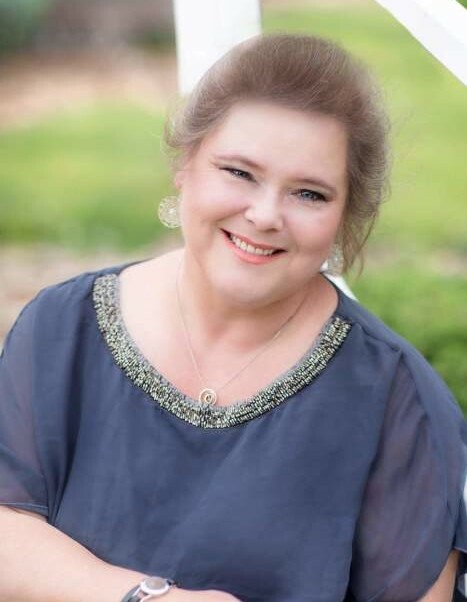 Christina L. Spatig-Moyers, 52, of Oquawka, IL, passed away at 8:36 p.m., Thursday, January 17, 2019 at Great River Medical Center, West Burlington, IA. She was born on May 25, 1966 in Winchester, VA, the daughter of Edward Dean and Margaret Ann (Towers) Straight. Christina was raised and educated all over the United States growing up in a military family. Christina married Terry D. Spatig, Sr. on December 31, 1994 in Wall Lake, IA. He preceded her in death on September 25, 2010. She later married Glenn Moyers in Oquawka, IL and he survives. Christina worked at Shearer’s Snack Foods in Burlington, IA, and Subway in Oquawka, IL. She also was a Young Living Essential Oil member and achieved the silver rank. Christina loved white tigers and cross stitching. She was always willing to help anyone at any time and had a heart of gold. Most of all, Christina loved to spend time with her grandchildren, they were her pride and joy. Surviving Christina is her children, DoveAnn Calovi of Bonny Lake, WA, Amber (Jesse) Foresto of Kansas City, KS, Brittany (Josh) Myers of Oquawka, IL; step son, Terry Spatig, Jr.; her husband, Glenn Moyers of Oquawka, IL; grandchildren, Lovyathan Patrick, QuZayne Patrick, Daniel Block, Selah Foresto, Miah Foresto, Shiloh Foresto, Elisha Foresto, Rebecca Myers, and Oliver Spatig. Also surviving are two brothers, James (Hope) Straight of Pennsylvania, and Anthony Straight of Nevada. Cremation rites have been accorded. A celebration of life will be held at a later date. Memorials can be made to the Christina L. Spatig-Moyers Memorial Fund C/O McGuire & Davies Funeral Home, PO Box 444, Monmouth, IL 61462. McGuire & Davies Funeral Home and Crematory, Monmouth is in charge of the arrangements.